In the years since 2003 when NewSouth Books published Rod Davis’s first novel, Corina’s Way, we have taken pride and pleasure in seeing him recognized in the literary community for his work as a writer, including as a book critic and columnist. Highlights of his career to date include receipt of a PEN/Southwest Award for Corina’s Way and his induction into the Texas Institute of Letters. Davis added a different kind of award to his portfolio last week, when he received the Bill Pearson Outstanding Lifetime Achievement Award from the Western Association of Veterans Education Specialists. A Vietnam Era vet, Davis co-founded and served as director of the Texas A&M University System’s Veterans Support Office (VSO). The award recognizes “individuals who have made outstanding contributions through constructive participation in veterans’ organizations, thus demonstrating a deep sense of caring for the veteran,” WAVES president Tracy Copeland told the Texas A&M University System News. The News notes that under Davis’s leadership, “the A&M System VSO provided coordination, communication and guidance to the system’s 11 universities and engaged in outreach on veteran education support issues throughout Texas and nation.” Congratulations to Rod on this most-deserved humanitarian honor. Award-winning author Frye Gaillard is enjoying a banner year: his book Go South to Freedom has just been named a Jefferson Cup Honor Book for young adult readers by the Virginia Library Association. The Jefferson Cup honors a distinguished biography, work of historical fiction or American history book for young people. Presented since 1983, the Jefferson Cup Committee’s goal is to promote reading about America’s past; to encourage the quality writing of United States history, biography, and historical fiction for young people; and to recognize authors in these disciplines. News of the award reached Frye as he was on the road filming a television documentary based on his book Journey to the Wilderness: War, Memory, and a Southern Family’s Civil War Letters. Produced by Mike Letcher of Dragonfly Public Media, the program follows the footsteps of Gaillard’s ancestors who fought in the Civil War. In the film Gaillard reflects on the Civil War letters written by his great-great-grandfather and other family members, noting, “My own generation was perhaps the last that was raised on those stories of gallantry and courage. Oddly, mine was also one of the first to view the Civil War through the lens of civil rights.” The film is being produced in partnership with The Center for War and Memory at The University of South Alabama for public television. In other news, Frye Gaillard has just put the final touches on his forthcoming memoir A Hard Rain: America in the 1960s, Our Decade of Hope and Innocence Lost. In this book, Gaillard gives us a deeply personal history, bringing his keen storyteller’s eye to this pivotal time in American life. A Hard Rain is due out from NewSouth Books in spring 2018. He is presently at work researching the life of Benjamin Turner for his first illustrated children’s book, a project he’s collaborating on with Marti Rosner. The Slave Who Went to Congress will be released by NewSouth Books in fall 2018. Go South to Freedom is available from NewSouth Books or your favorite bookstore. Author Ibrahim Fawal (On the Hills of God, The Disinherited), born in Ramallah, Palestine, worked with renowned director David Lean as the �Jordanian� first assistant director on the classic Lawrence of Arabia. He sent this remembrance of actor Peter O’Toole, who died this past month. I am proud to say that I had a very friendly relationship with Peter O�Toole when I was working as the first assistant director on Lawrence of Arabia in the Jordanian desert in 1961. In fact, he and Omar Sharif promised to dance at my wedding, which was to take place right after production of the movie ended. Due to unforeseen circumstances and a delayed production schedule, they missed my wedding, but that did not prevent big crowds from jamming the streets and the church, expecting the two stars to be in attendance. One of my most vivid memories of working with Peter O�Toole took place early one morning, when David Lean asked me to go find Peter, who was late for the shooting of a certain scene. When I found Peter, he was in his luxurious tent, getting dressed. I urged him to hurry up, as we were late for the first morning shot. As we walked out of the tent, into the desert, with the blue sky and miles and miles of utter tranquility around us, he was still buttoning his shirt. Suddenly, he stopped walking, and the next thing I knew he was raising his hands up toward the sky, shouting �Hey God, where are you?� Stunned by the sudden outburst, I asked what he was doing, but he kept looking up, repeating, �Where is He? Where is He?� It was a powerful moment, one that stayed in my subconscious for more than 40 years. It was later included as a scene in my book, The Disinherited. What a magnificent opportunity to work with a legend like Peter O�Toole. Now he�s with his elusive God, at last. 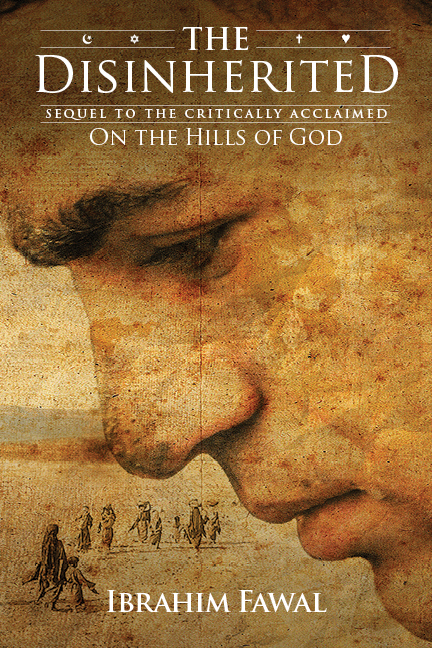 The PEN Oakland award-winning On the Hills of God and its sequel The Disinherited, by Ibrhaim Fawal, are available in hardcover and ebook from your favorite bookstore. As Southern members of Congress continue to say “no” to most safety-net and stimulus proposals, the grim reality is that poverty is deepening across the nation and especially in the region. According to a report issued today by the Southern Education Foundation (SEF), extreme poverty in the United States increased during 2009 by 12.9 percent, expanding the number of people living below 50 percent of the poverty threshold by more than 2.1 million. As a result, extreme poverty was the fastest growing income group in America last year, and the South’s share of the increase was almost twice that of any other region of the country. One out of every 16 Americans – 18.8 million people – lived on less than seven to ten dollars per day at the end of 2009. This number of persons was larger than the combined population of 15 US states. Analyzing recently released Census data, SEF’s update on extreme poverty notes that half of the additional 2.1 million persons who fell into extreme poverty during 2009 resided in only seven states, including four Southern states: Texas, California, Florida, Georgia, North Carolina, New York, and Ohio. The 15-states of the South had 45.3 percent of the nation’s increased population in extreme poverty – almost twice the share of any other region. Among states, growth rates for extreme poverty were over 20 percent – highest in the nation – in Colorado, Kansas, Utah, Idaho, and Missouri. The five states with the next highest rates of growth were all in the South: North Carolina (19.7 percent), Florida (18.7), Tennessee (18.6), Alabama (18.5), and Georgia (18.2). SEF’s full 24-page report includes nine charts, three maps and various graphs illustrating and ranking developments among the states and regions on how extreme poverty grew in 2009 and which population groups have the highest rates of extreme poverty. The update also discusses the implications these trends have for education in the South and the nation. Damned good advice for writers and editors . . .
. . . in the 8/4/2010 New York Times Schott’s Vocab column. In the item, guest columnist David Crystal, a linguistics professor at the University of Bangor in Wales, writes about what he learned when he recently asked a 12-year-old to go through one of his manuscripts and underline anything she didn’t understand. The result — demonstrating that there’s a vast cultural knowledge gap between today’s youngsters and the rest of us — may seem obvious, but writers and editors working on material targeted for children or young adults still stumble over this every day. In Crystal’s case, he made a reference to John Wayne, and his young test reader had no idea who Wayne was, had never seen any of his movies, and could not have cared less. I was reminded of the time my youngest son came home from school and, following up on some discussion in his second-grade classroom, asked me, “Daddy, what was it like during the Civil War?” Not wanting to disappoint, I told him how it was, but you get the idea . . . Seems one talented poet has found another in this news from Mary Carol Moran, who shares that her next book will be published by Sue Walker’s Negative Capability Press on November 30. Moran’s new book is called Equivocal Blessings. Moran is a writer and editor, and teaches the Novel Writers’ Workshop for the Auburn University Outreach Program. Her book Clear Soul was published by NewSouth Books. Sue Walker founded Negative Capability Press in 1981. In addition to running her small award-winning press, Dr. Walker is a University of South Alabama professor of English. Additionally, she has written books of poetry and criticism, a play, book reviews, and critical essays. Her book It’s Good Weather for Fudge: Conversing with Carson McCullers is available for order direct from NewSouth Books. Normally, I’d say it’s just wrong when a raunchy blues standard is covered by a group of white suburban teenagers whose greatest life deprivation has probably been on the order of running out of cell phone minutes … except that they sounded sooo good. The occasion was the annual Blues Extravaganza at Tuscaloosa’s Bama Theatre on Friday night, May 1, 2009. The evening marked the conclusion of the 11th annual Alabama Blues Project spring camp and featured the Blues Camp Kids and special guest star Bobby Rush. Yes, that Bobby Rush, the blues legend whose arching eyebrows, thrusting hips, and perfectly timed delivery of risque elegies to two- and three-timing big-bootied women has been knocking out night club audiences since the early 1950s. I wondered how Rush could possibly clean up his act to perform with a bunch of schoolkids, in front of an audience of still more kids and a lot of parents and grandparents who might have been more comfortable in the soccer stands than in an auditorium temporarily taken over by wailing harmonicas, screaming electric guitars, and pounding drums. The joint was, as the saying goes, jumping. Rush evidently wondered the same thing. Several times in his comments between songs he noted that he had to be careful in what he said lest the children present figure out what he was talking about. Then he went right on and said and sang it in terms that only the youngest campers could have failed to get. And it was all right. No one stormed out in a huff, and the Blues Camp Kids, their instructors, and Rush collectively gave one of the best concerts I’ve ever witnessed. More about Rush in a minute, but the kids were awesome. Some have been participating in the blues camp program for several years. One young woman who is heading off to Tulane University in the fall has matured into—as ABP coordinator Debbie Bond remarked in a virtuoso display of understatement—“a fine blues guitar player. ” So fine that I noticed Rush stop kibitzing in the wings to watch attentively while the white teenager cut loose in a scorching solo. It’s just that the contrast is so remarkable between the white schoolkids and the older black bluesmen like Rush and the late Willie King, who regularly helped Bond with the ABP and the Blues Camp before his untimely death back in March. One of the most moving moments of the evening came when Rush paused to speak softly along that theme about his personal history. The Bama Theatre has a wonderful night-sky-painted ceiling, with blinking lights for stars, and as Rush came to the front of the stage and stood and talked, the great old room seemed to get quieter and more intimate as people tried to take in what Rush was saying and what he represents. “I’ll be 76 in November, ” he said. “I came to Chicago in 1951. Muddy Waters was there. Chuck Berry came in 1952. Howling Wolf and Buddy Guy came soon after. I went myself to pick up Etta James at the bus station and bring her to Chess Records. I been recording for 56 years. I’ve made 279 records. Then Rush sat in a folding chair, alone on the Bama Theatre’s stage beneath its twinkling ceiling with just his guitar and several harmonicas. And he played and sang and stomped out the beat with his left foot. And the joint rocked some more. And no one had the blues, because that’s the thing about the blues—when you sing or play or hear the blues, you can’t be blue. Rheta Grimsley Johnson, award-winning author of Poor Man’s Provence, is just one of many NewSouth authors profiled on the Alabama Center for the Book’s This Goodly Land: Alabama’s Literary Landscape website. The Alabama Center for the Book’s This Goodly Land project features an interactive map where you can search Alabama’s vast literary landscape by county or author. The Alabama Center for the Book hopes that this project will not only serve as a celebration of Alabama’s tradition of quality literature, but also encourage state-wide literacy and spur up-and-coming Alabamian authors to great literary heights. Selected by a committee of experts on Alabama literature, over one hundred authors are currently featured on the website with new detailed profiles of other Alabama authors added periodically. Other NewSouth authors profiled include John Beecher, Virginia Pounds Brown, Oxford Stroud, Sue Walker, and Kathryn Tucker Windham. Visit This Goodly Land at www.alabamaliterarymap.org.